Hey there, fellow bloggers! 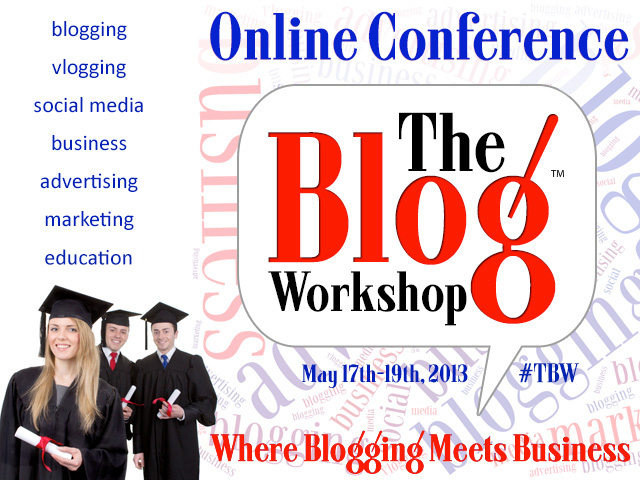 I'm here to remind you that The Blog Workshop conference ticket sales ends on May 10th. If you haven't signed up, do hurry. I heard that the tix are selling like hotcakes. 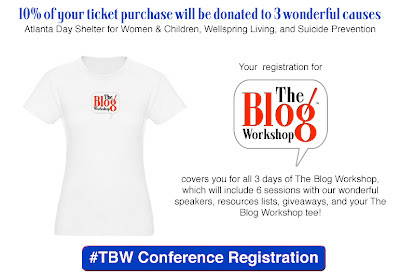 Remember that HMB readers get $20 off upon registration when you use this code: TBW25HMB. Do take note though that the code is only good until April 12th, which gives you more reason to sign up immediately. 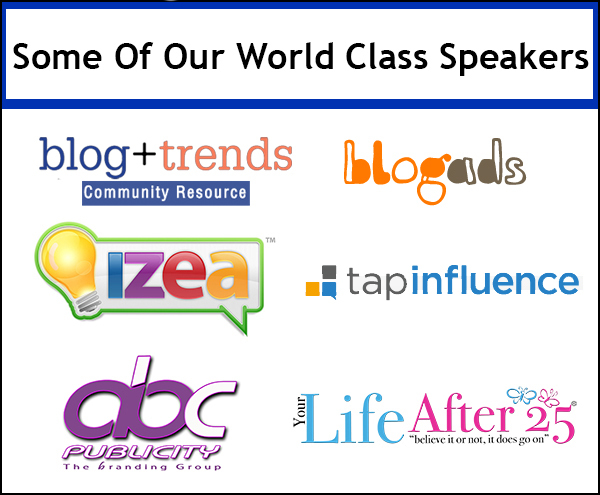 There is a fantastic line up of speakers sharing their knowledge at The Blog Workshop online conference to take you from Blogger to Bloggerpreneur. 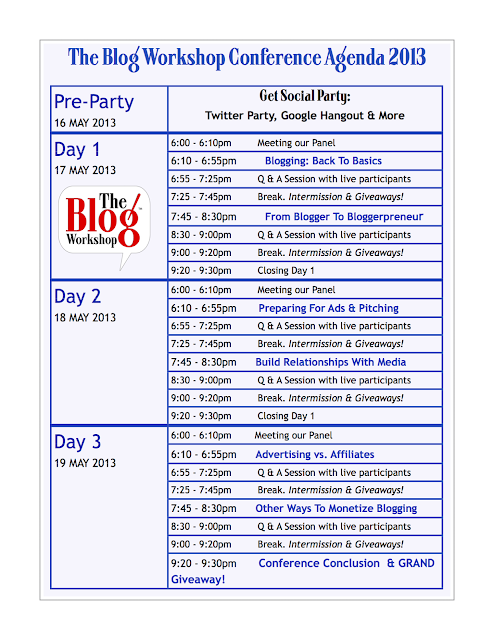 Here's Holly Hamann, one of the speakers from Blog Frog, to tell you what you can expect from the conference. 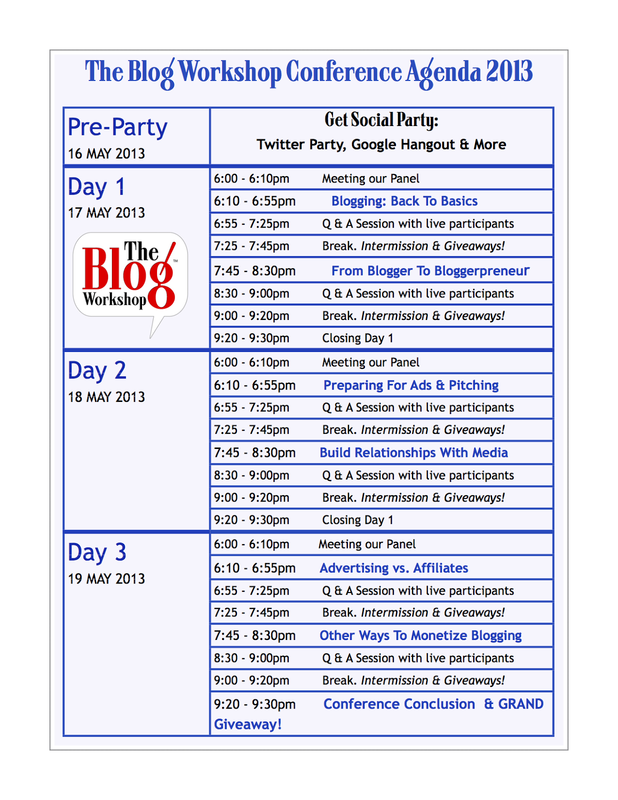 Below is the agenda for The Blog Workshop. Believe me, you don't want to miss out on learning all this information. The Blog Workshop is happening on May 17th-19th, 2013 right in the comforts of your own home, or anywhere that you can connect to the web. 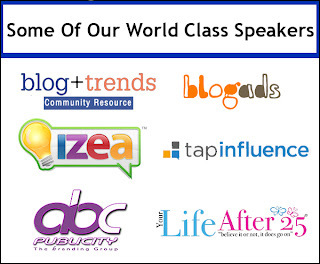 Remember, this is an ONLINE BLOG CONFERENCE. Now, to kick off the ULTIMATE ONLINE BLOG CONFERENCE OF THE YEAR, The Blog Workshop is giving away a FREE BLOG MAKEOVER + $25 Visa gift card. (worth $500). Blogger will be able to work closely with a Your Site Makeover consultant to choose a blog theme and have it customized. To enter, simply complete the Rafflecopter requirements below. 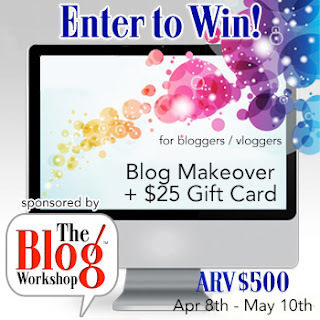 This giveaway is open from April 8th to May 10th, 2013. 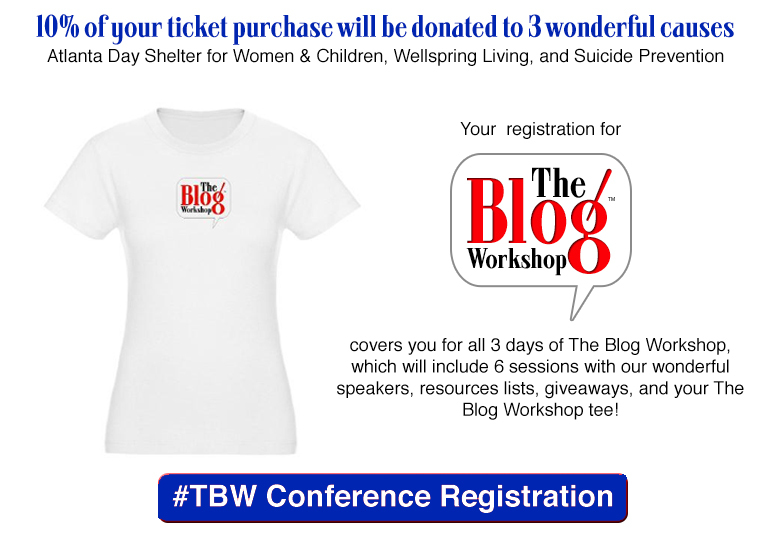 Disclaimer: This blog is an affiliate of of The Blog Workshop and I have received a complimentary ticket in exchange for this blog post. But opinions are 100% my own.